What type of extinguisher do I need? Fire gives no warning and offers no mercy. Fire!!! It's a word that creates horrific imagery. It is the ultimate nightmare ... fear, panic, pain. It disfigures, it destroys, it devastates, it kills! There can be nothing worse. At all costs, and with logical reason, we avoid any possibility of tangling with an inferno of flames. Fire is an unruly and unpredictable monster, however you can take wise steps to ensure that you, your family and your staff, can safely escape. It's all about preparation. With 30 years of experience, Fire Extinguishers Australia can increase your odds of survival, and help you prepare to protect your property. You can access an extensive range of fire extinguishers, as well as an extensive selection of further services and products. From smoke detectors to fire doors, equipment servicing to certification, we will support and guide you through this critical purchase and servicing process – and always at unbeatable prices. 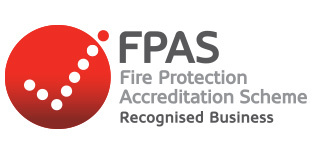 Fire Extinguishers Australia promises you exemplary and reliable service, meeting the strict statutory guidelines and also making the process a painless one for you. Every fire victim probably thought it would never happen to them. But what if it happens to you? Are you ready? Don't keep putting off this logical (and legally mandated) decision. What they say in bushfire preparation is also true for your home and business: "planning to make a plan, is not a plan". We encourage you to get started. Have everything working in your favour. Protect what's yours! 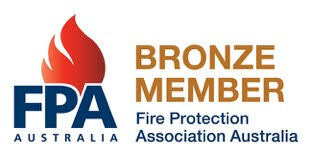 When fire is the enemy, Fire Extinguishers Australia is the friend you need. Call 1300 EXTINGUISH now, and extinguish the worry that comes with not being properly equipped. We're there for you, and with you for the long haul.